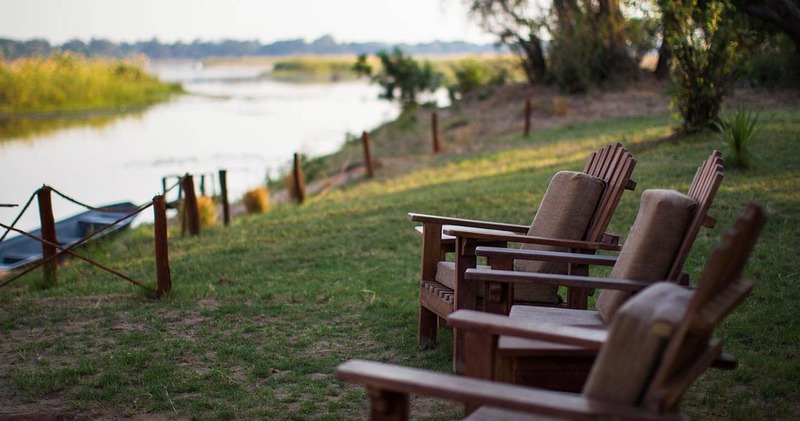 Set in the middle of the Zambezi River, Tsika Island Camp is approximately 30-35km upstream from Chongwe between Mana Pools National Park in Zimbabwe and the village of Mugurameno in Zambia. 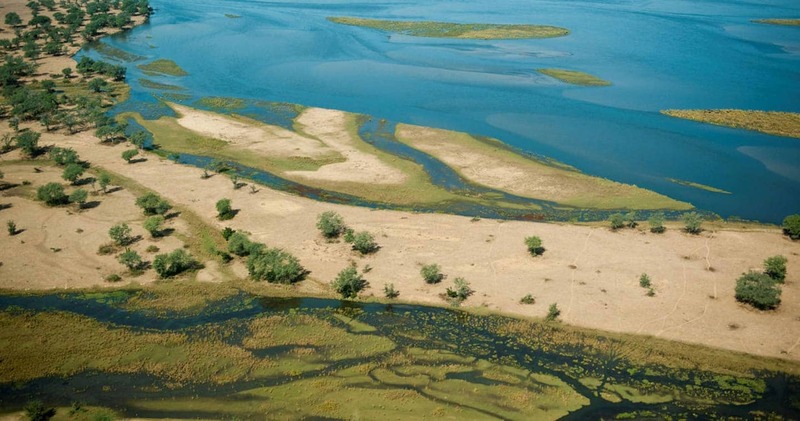 The camp is surrounded by a mixture of Albida groves and reeded channels, with a sandy plain to the north. 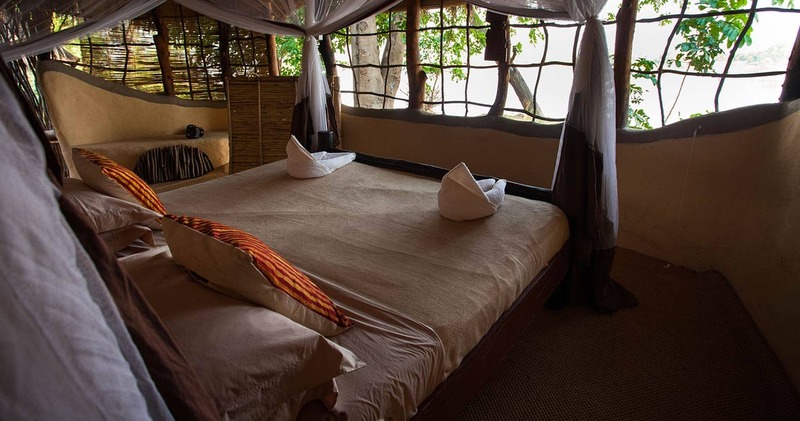 Accommodation is available for six guests in three rustic thatched “bush rooms” complementing the island bush experience. Beds are set under full walk-in mosquito nets and the en-suite facilities provide hot running water from wood burning boilers and a flush WC. The dining space is built to the same design as the rooms with a large covered room and local village artifacts decorating the bar and serving areas. A lawn lies out front offering a traditional camp fire and comfortable lounge chairs. The prime aim of a stay at Tsika is to facilitate a full day canoe safari along the Zambezi River. Guests are required to paddle so a level of fitness is needed. From Tsika Island guests are encouraged to visit Chiawa Cultural Village and Mugurumeno Village to interact with the community and learn more about the Goba people who retain ownership of the island. Walking is offered (there are no predators on the island) for close up encounters with the abundant game including elephant and buffalo, as well as excellent birding. We chose Chongwe Safaris for a family holiday to celebrate a milestone birthday. 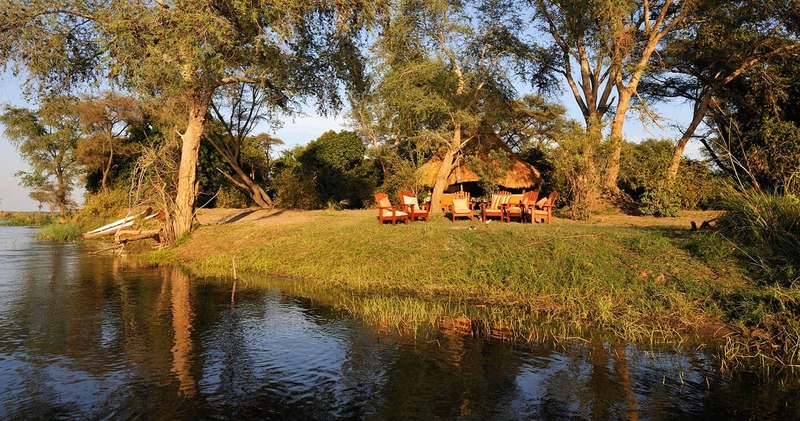 Stayed 3 nights in the rustic Tsika Island Bush Camp, and 4 nights in the Chongwe River Camp. Our experience was nothing short of brilliant, with our wonderful guide, George, making sure that we enjoyed the best of what the mighty Zambezi River and Lower Zambezi National Park could offer. The staff at both camps were wonderful, with Flossie and Serena orchestrating an unforgettable birthday celebration on our final day. 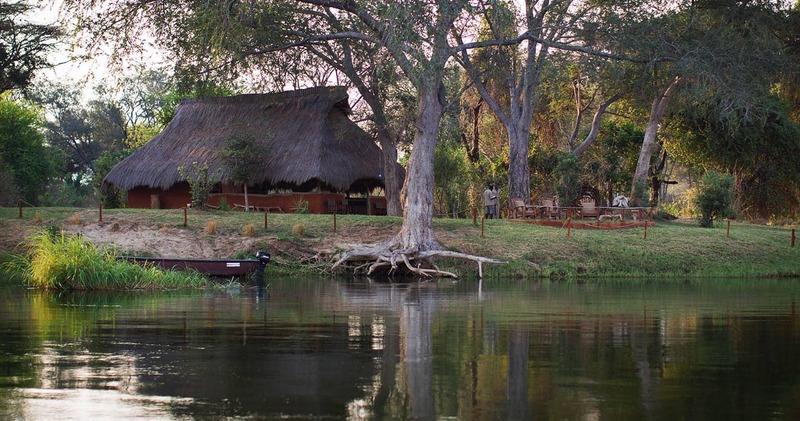 The focus at Tsika Island Bush Camp is on offering full day canoe excursions on the river. 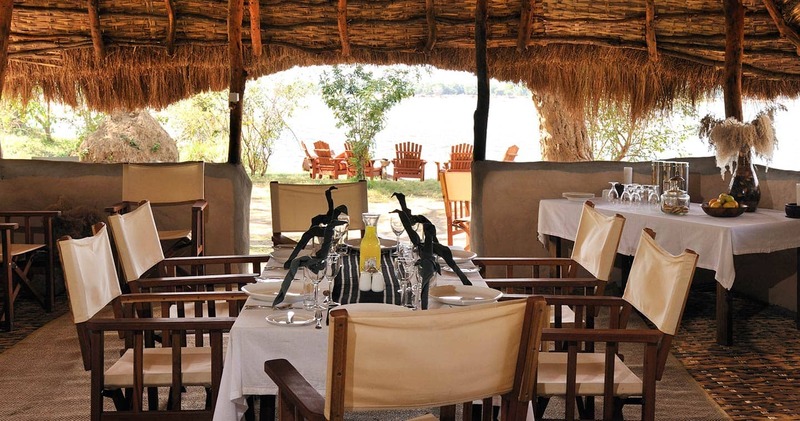 Read all about travelling to Tsika Island Camp on our getting to Lower Zambezi page. Tsika Island Camp is best accessed through Kenneth Kaunda International Airport (LUN) near Lusaka followed by a short light aircraft transfer to the Royal Airstrip. Children of all ages are welcome at Tsika Island Camp. Children younger than twelve years pay 50% of the adult rate. Please note that children younger than twelve may not participate in all safari activities. 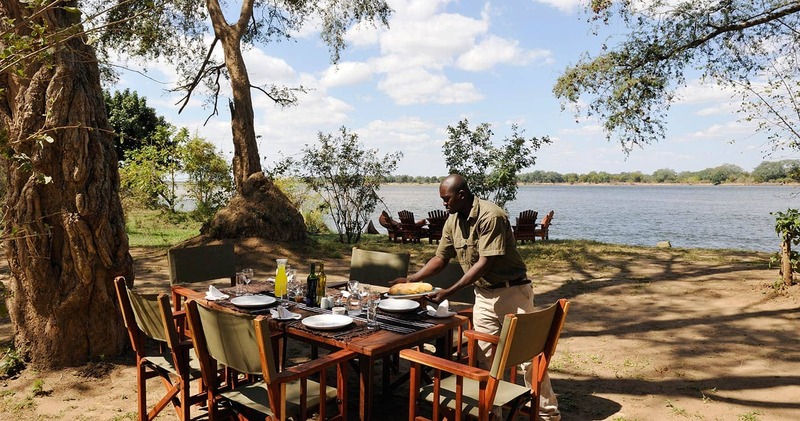 We hope you have found all information needed to decide that Tsika Island Camp in Lower Zambezi National Park is the perfect place for your next travel adventure. Please fill in the contact form and we will get back to you soon!